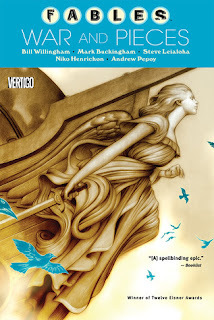 After 13 years, 14 Eisner Awards, 150 issues and almost 6,000 pages, the Vertigo comic book series Fables has reached its end. What began as a simple postmodern twist on fairy tales quickly evolved into a sprawling, beautiful, dark, engrossing, ambitious and occasionally frustrating saga. As I closed the cover on the final volume, I felt both exhilaration and the sad pang of loss. Under those circumstances, it seemed only fitting to introduce this tremendous grown-up comic series to a wider audience and also take the opportunity to explore the challenge of writing truly long-form stories. Please note: In order to discuss the story structure of Fables, I do have to go into a certain amount of detail about what happens. However, I've tried to be as vague as possible about specific plot points to avoid spoilers. 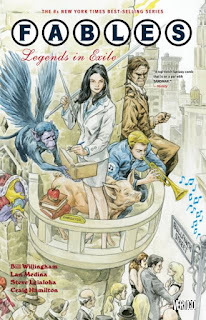 As conceived by writer Bill Willingham, the central premise of Fables finds a host of familiar fairytale characters exiled to modern-day New York (if this premise itself seems familiar, it’s because it was later “borrowed” by TV series Once Upon a Time). With their fantasy home worlds conquered by a mysterious aggressor known only as “The Adversary,” the impoverished but immortal fables must try to carve out a living while keeping the mundane human folk in the dark about their presence. This is much easier for the human-looking or magical fables, and much more difficult for the likes of The Three Bears who are exiled to an off-grid upstate location called The Farm. The central Manhattan location – known as Fabletown – is nominally administered by mayor Old King Cole, but the real power behind the throne is “Director of Operations” Snow White, who is aided and irritated in equal measure by sheriff Big Bad Wolf (or Bigby, as he likes to be known). 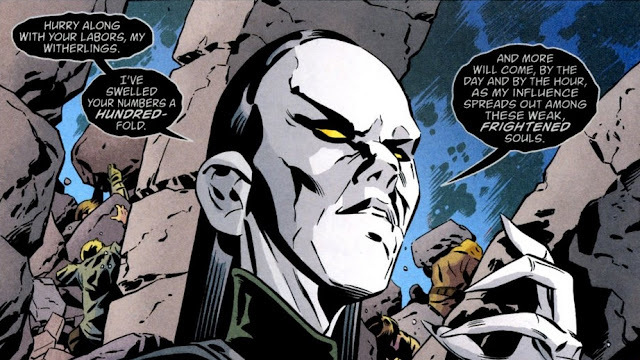 One thing that any saga needs is a strong mythology, and even from this short description you can see that Willingham has dipped into a rich well, one that he continues to drink greedily from throughout the series. And it doesn't hurt that all of the major characters are entirely in the public domain, allowing him to manipulate them as he wishes. Like other sagas (I’m thinking of Harry Potter or George R.R. 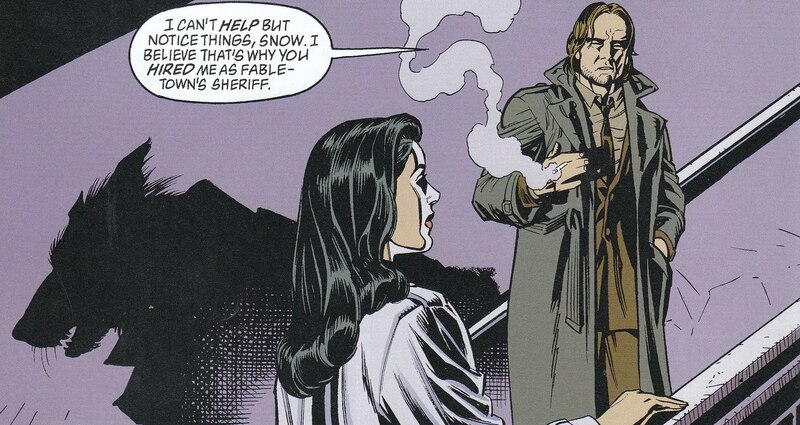 Martin’s A Song of Ice and Fire here), the locations, cast and plotlines of Fables become ever more numerous as the story continues. But Willingham also understands the importance of a core group of characters to anchor the story, stopping the whole enterprise from sprawling into incoherence. The first collected volume of Fables - Legends in Exile - introduces characters like Snow White, Rose Red, Bigby Wolf and Boy Blue, whose subsequent exploits and conflicts will go on to define the series. These are characters who have clearly existed for a long time – Beauty (wife of Beast) talks of being married for almost a thousand years. But Willingham is happy to bide his time, paying out the backstory gradually across the length of the whole series. 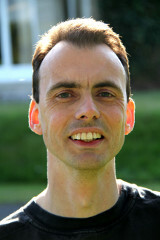 Indeed, what might be seen as the central conflict of the saga – the battle against The Adversary – barely intrudes for the first twenty or so issues, as the storylines focus on the interpersonal disputes between the characters and their struggles with “modern living”. What immediately stands out from the first volume is the excellently snappy dialogue and the glee with which Willingham subverts genre expectations. But although fast-moving and amusingly foul-mouthed, I remember that volume one left me a little underwhelmed when I first read it all those years ago. Luckily, it’s in the second volume Animal Farm where the story really catches fire, pitching us into a topsy-turvy world where Goldilocks is a Marxist revolutionary, Baby Bear has a machine gun and the finest strategic mind is housed in the body of a talking fox. Again and again, Willingham finds inventive ways to combine characters from different stories without losing the essence of what makes them special. This is mash-up on an epic scale. 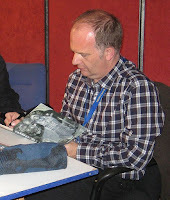 Animal Farm also marks the introduction of British artist Mark Buckingham. 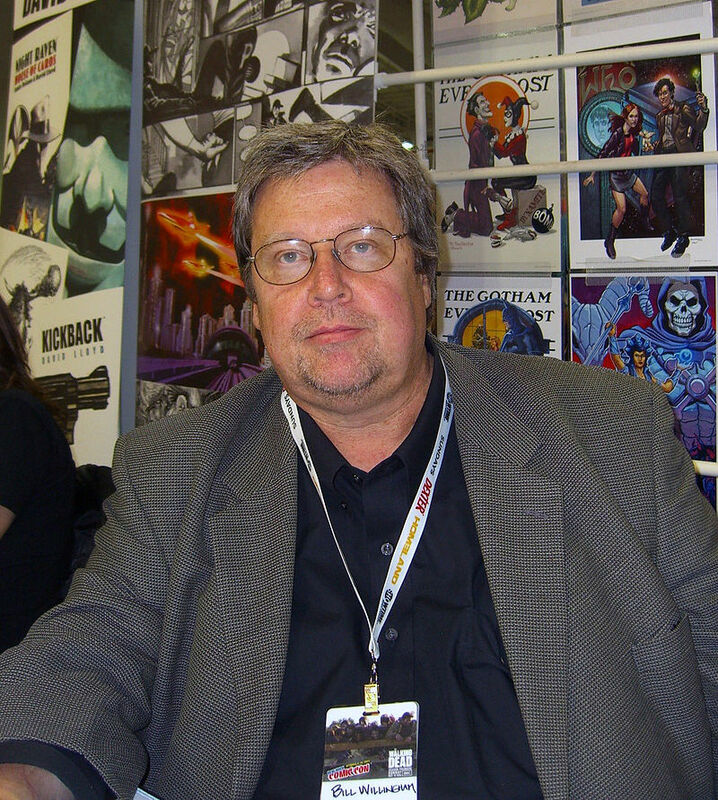 Though the comic continues to dabble with other illustrators throughout its long run, Buckingham becomes the go-to artist, his character designs defining the Fables saga as much as Willingham’s text. And with hundreds of characters passing through the series by the end, the task of giving each of them a unique but recognisable look shouldn’t be underestimated. Structurally, Fables is built from a series of individual arcs (some as short as one or two issues) that build into a longer saga. In theory, this means readers can dip in and out as they fancy, but purists (like me) will want to follow the whole run. With such a dense mythology, this kind of diligence is very much rewarded (although not in financial terms, unless you can borrow the volumes from your local library). Harry Potter: Who will triumph – Harry or Lord Voldemort? Twin Peaks: Who killed Laura Palmer? A Song of Ice and Fire: Who will be the supreme ruler of Westeros? Lost: Will the survivors escape from the island? 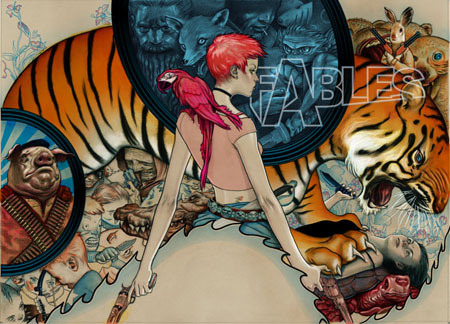 Fables: Will the free fables defeat the adversary and return home? Sometimes, a saga can falter because the central question is solved too early. Twin Peaks is the most famous example of this, but Lost also collapsed into plot hell when the writers allowed some of the survivors to leave the island, then spent much of the subsequent season trying to get them back again. Reader/viewer fatigue is a big issue for saga writers, and keeping the audience engaged while also refusing to answer the question that they really, really want to know is a tough juggling act. Fables tries to solve this with quirky digressions and subplots that intersperse the main narrative, so that the story takes a somewhat meandering route to the ultimate battle with The Adversary. To its great credit, Fables doesn’t falter at this point. In fact, Willingham makes a bold and unexpected decision that forces the fictional characters to consider the real-life legacy of war – the messy business of truth and reconciliation. Meanwhile, through a neat bit of cause and effect, a new evil is rising to challenge Fabletown. 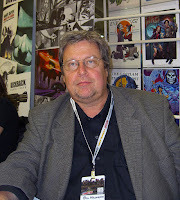 While it must have been tempting to close the book on Fables after issue 75, Bill Willingham talks in his afterword to that volume of wanting to create a web of stories, likening it to Germany’s Fairytale Road (which marks the path taken by the Brothers Grimm). Despite this intent, the second half of the run is noticeably spottier than the first, with more of an episodic feel. Sometimes, Willingham gets too clever-clever (The Great Fables Crossover) and other times widens the world too far, relying on the reader to remember a character who last appeared twenty issues ago. But it continues to be a satisfying read, with some dark and jolting twists that remind you about the horrifying nature of traditional folk tales. 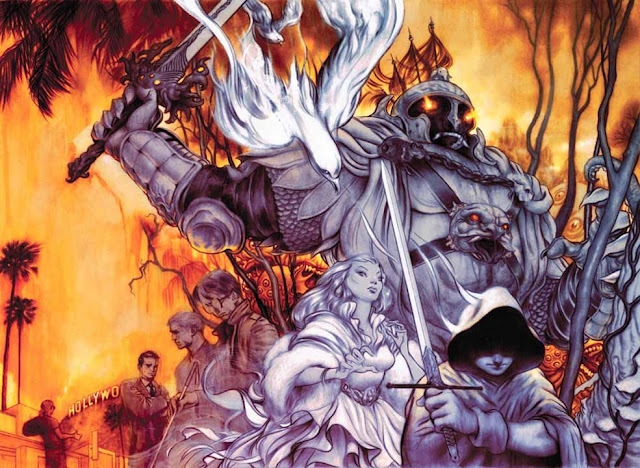 For the final 10 issues, the story arcs back to the character conflict between Snow White and Rose Red that has persisted throughout the series. The narrative again builds to a climactic confrontation, but this time the plotting seems calculated and overly manipulative. However, at the last minute, Willingham delivers another magnificent twist that proves he knew what he was doing all along. "The last story arc is so complex, and there are so many moving pieces to this that every day of work brings with it some anxiety that I am forgetting something crucial. Not only do the pieces have to be all accounted for, they have to be done in the right order since we are still doing this as serial fiction. These books have to come out. You can't wait until all 10 are done and go through it and make sure that everything is in place and then start to release them. We have to get it absolutely right." 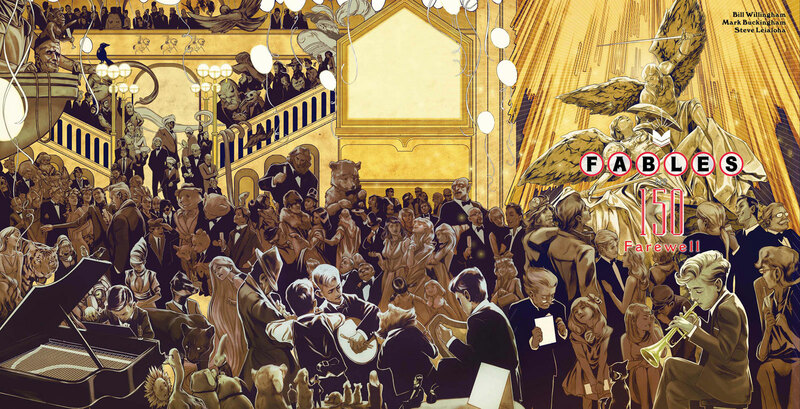 I can only admire the skill and persistence of Bill Willingham and Mark Buckingham in delivering the Fables series. To put out an issue every month for 13 years (not counting the various spin-off books and comic series) and for it to even make sense is a terrific achievement. That they have also given us storytelling of enduring quality is closer to triumph! I’ve never tried to write a saga, and I fear that I might lack the necessary concentration span to see it through. But if I ever do feel that creative tickle in the back of my head, I know what series I intend to use as a template. Fables is gone. Over. Finished. Long may it stay in print. All DC Comics characters, trademarks, images and text (where used) are trademark DC Comics Inc. and are reproduced for the purposes of critical appraisal and review, as permitted by UK/US fair use legislation. Nick Cross is a long-time graphic novel buff - his favourite titles (apart from Fables) are Y The Last Man, Maus, Scott Pilgrim and Ed Brubaker's Captain America run. When he's not reading comics, Nick is a children's writer, Undiscovered Voices winner and Blog Network Editor for SCBWI Words & Pictures Magazine. The series spunds amazing. I have no idea how they manage it. I'm constantly going back and planting something that will affect the ending which of course you can't do once the book is out there. BTW - I would suggest an alternative central question for Ice and Fire - Will winter EVER come to Westeros?